Thank You For Visiting The Judy"Q" Web Site. JudyQ at J C Hunter Realtors, Inc. has over 10 years of real estate experience specializing in Commercial and Industrial transactions. Such as land development, from: office use to mall construction as well as multi dwelling, apartment and multi housing construction in the Greater Kansas City Missouri. 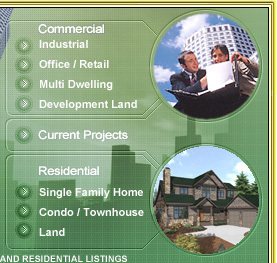 We offers the kind of service that sets the standard for realtors. Judy Q at JC Hunter Realtors, inc. draws on her many years of helping buyers and sellers accomplish their goals to hear and address their clients wants and needs. She also listen to the nuances of the real estate market as they actively assist both buyers and sellers navigate current conditions. Judy”Q” at J. C. Hunter Realtors key to success is her as a realtor down-to-earth approach to dealing with people and their commitment to handling each transaction as if they were the principle. With your best interests at heart, Judy"Q" will work systematically to serve both buyers and sellers, utilizing state-of-the-art technologies to keep you informed of market activity and property availability in Jackson County, Blue Springs, Independence, Lee’s Summit Grandview, Oak Grove, Odessa, Bates City, Grain Valley, Pleasant Hill, Greenwood, Raytown, Parkville, Kansas City, Liberty, Gladstone, Leawood, and others cities in the Missouri Area as well as Roeland Park, Mission Hills, Overland Park, Shawnee, Meriam, Lenexa, Bonner Springs and other locations in Kansas.